Howdy-ho neighborinos! I've been gone a while, but like a bad penny, I keep turning up! Today I'm joining my lovely wife, Tiny Doom, and the other ladies of The Ladies of Comicazi in their Bat-Month blog series. Bat-Month involves each lady choosing her favorite episode of Batman: The Animated Series (including The Adventures of Batman and Robin) and talking about why it was chosen. I was excited by the idea and decided to join in, unofficially, and do a review of my favorite episode. As you can imagine, this is no small feat because there are so many incredible episodes of the award wining and genre changing show. 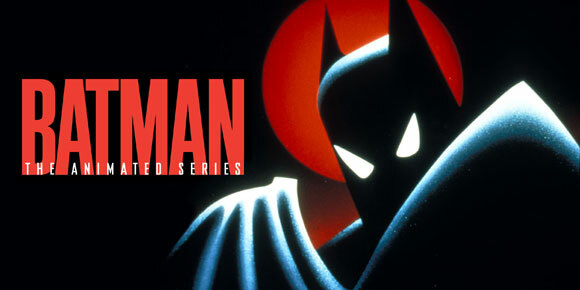 I know this series holds a special place in my heart, I have always been an animation fan and the years just before Batman: TAS began I often complained about the poor animation quality and the poor story telling of the garbage that was on TV. I honestly thought that American animation was truly was in it's death throws (although looking at what was on in 1993, I can see that Batman was one of the shows that premiered on the precipice of change). Then along came Batman, with a retro design, fresh concepts that paid homage to story lines from the comics, writing that strove to tell a good story instead of trying to sell toys and voice acting that was actual acting by talented people. To this day, my wife and I still refer to Kevin Conroy and Mark Hamil as "The One True Batman" and "The One True Joker". The series made folks take notice and once you watched an episode, you were sucked in. I remember when the show was on originally, my father would watch it with me when he got home from work, once they altered the time to slightly earlier he admitted that he was disappointed to be missing the show! I didn't even realize he had enjoyed watching it, I had just assumed that he was watching it because it was on when he sat down. Such is the power of Batman: The Animated Series.